One of our big winter translation projects for Japan National Parks is finally complete! 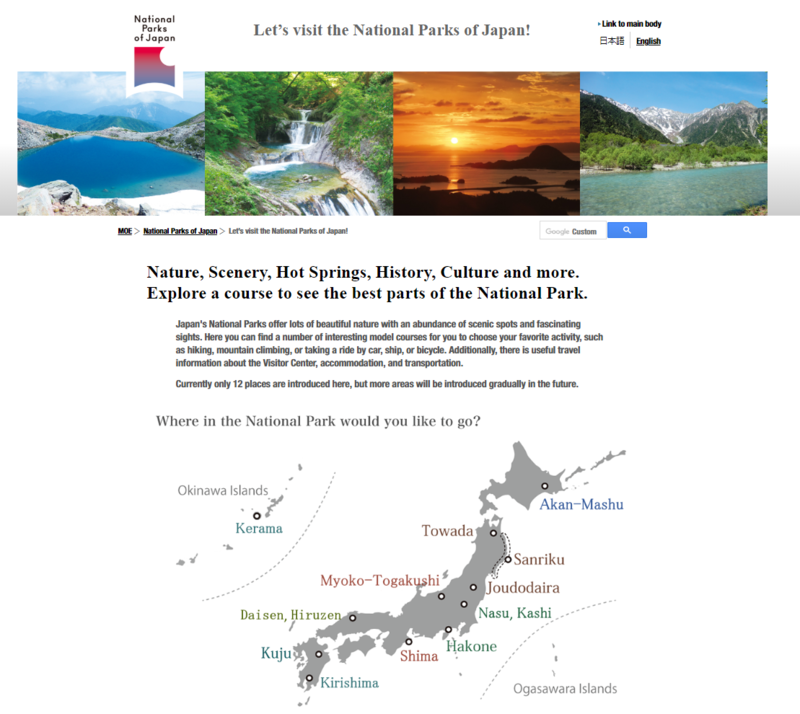 This time, we were working on translating additional park information for the Ministry of Japan's tourism website for its national parks, "Let’s visit the National Parks of Japan!" It was a very fun project since I was able to put my environmental studies and ecology knowledge to use, which I studied along with Japanese in university (though, I have to say it was rough translating Okinawa's Kerama Islands park in the middle of Nagano's winter...). Because Japan's national parks are also home to ancient Shinto shrines and other historical spots, you can enjoy Japanese culture as well as Japan's amazing natural environment, making the parks an excellent travel destination for tourists from overseas. Thanks to the "Let’s visit the National Parks of Japan!" website, it is very easy to find the best spots and recommended courses, and to learn about the wildlife for each park. I hope visitors from overseas will take advantage and go visit these places! There are both English and Japanese versions of the website, so check it out if you have a chance!